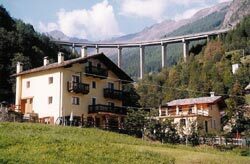 Who says there has been - About 5 km from the center of Aosta, near the airport, and the highway exit of the Pila ski resort. The building is modern and has ample parking. Large rooms, clean and comfortable. Wide choices. Staff helpful and polite. Agreements with restaurants. Baby park, and park a short walk for leisure and nature walks. Who says there has been - About 10 minutes from Aosta and 20 from Courmayeur. Beautiful scenery of the valley. abundant sweet / salty breakfast also with fresh products. nice rooms, carefully decorated and very clean. modern and comfortable bathrooms. Holder (Lorraine) very helpful and friendly. Who says there has been - In a panoramic position in the valley. 3 clean, spacious, comfortable and well appointed. Excellent breakfast with local and homemade products. Great welcome from the managers. 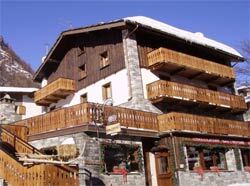 Who says there has been - The bed and breakfast Maison Du Noyer is an old built in the 1300s, to 1050 meters high. flooring Larch valdostano, which sometimes creak, but that give full meaning of life "once." The rooms are comfortable and with kitchenettes, with shower, TV and fridge. Breakfast is served according to the seasons in terrace, in the garden or in the living room with vaulted stone (former barn completely restored). 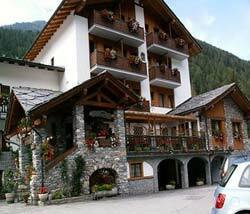 Who says there has been - A typical mountain-style hotel, comfortable apartments within 600 meters from the center of Courmayeur, in a quiet and peaceful area. Apartments simple, comfortable and clean. Stunning views of Mont Blanc. Polite and professional managers. Who says there has been - A few steps from the slopes of La Thuile (track 7 is the closest), at 2000 meters high (it is superfluous to speak of the amazing panorama). Beautiful structure, built from an old powder magazine. Very nice rooms with attention to detail. Restaurant with excellent dishes. Nice spa. Elegance, courtesy and friendly welcome. 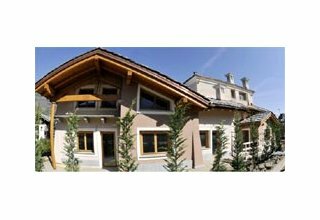 Who says there has been - A brand new building just 200 meters from the ski slopes of the snow park of Antagnod, about 4 km from the Monterosa Ski Champoluc and just 1 km from the ski-run from Barmasc. L'espoir Meublè features 7 comfortable rooms (good cleaning) with bathrooms, free WiFi and 32-inch LCD TV. Good breakfast buffet, family-run. Beautiful landscape. 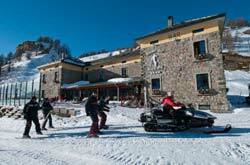 Who says there has been - Great hotel, centrally located, in the main square of Saint Vincent. intimate rooms, clean and warm. Spacious and clean. Staff attentive to customers and kind. Breakfast excellent, buffet, fresh and sweet local products. Wellness area with sauna, turkish bath and whirlpool. Free parking within walking distance. Splendid panorama of the surrounding mountains. 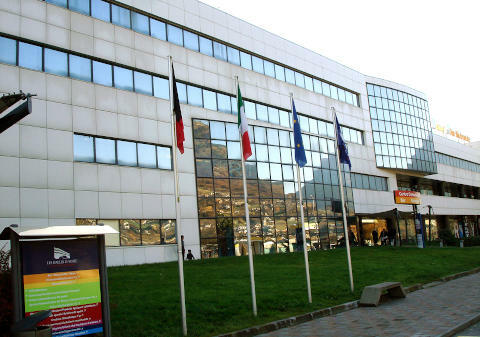 Who says there has been - The Beau Sejour have a restaurant of more than 130 people and can accommodate weddings and large groups, offers typical menu of the cuisine of Valle d'Aosta or international. 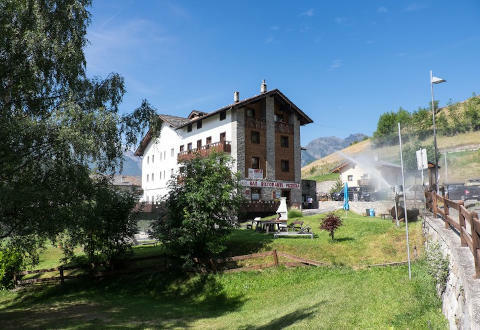 The hotel is located on the ancient Via Francigena, between the Great St. Bernard Pass and Aosta, next to the facilities of Pila and Crevacol. All rooms have bathroom, are standard or superior, suites or multi family bed, to satisfy every need; They are equipped with satellite plasma TV, Internet access and safe, and the furnishings are carefully with furniture in rustic or modern style. 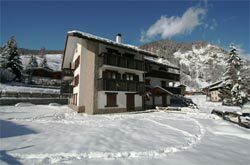 We look forward to an unforgettable skiing holiday in the winter and one week in the green in spring and summer. Who says there has been - Apartments (one double and triple rooms) cozy, clean and comfortable, with fully equipped kitchen (free WiFi, LCD TV 24-32 inches). Good treatment by managers. Good value for money. Who says there has been - Located about 6 km. from Gressan town center and approximately 10 km. 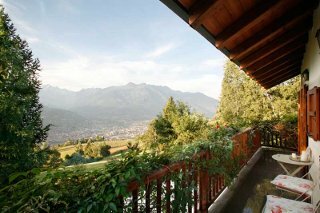 from Aosta, with stunning views of the valley and with a nice garden. All the bed and breakfast rooms are cozy and tastefully decorated. In summer there is a garden gazebo. 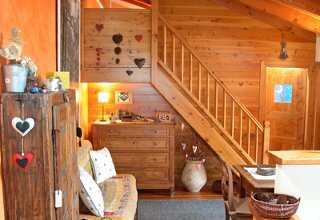 The rooms are small apartments, spacious (one of them is in the attic), clean and well furnished. Good breakfast varied and good. Excellent hospitality and courtesy on the part of managers. 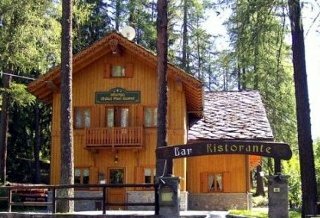 Who says there has been - Very nice and cared chalet (mountain style wood covered), in quiet, green area, about 2 km from the center of Courmayeur. The rooms are comfortable, large (about 18 m2), clean and equipped (LCD TV dtt 24-32 ", free wifi and coffee maker). Bathroom not very large room. Restaurant with good meals, cared for and good quality. Breakfast varied and good quality products, also homemade. Hospitality and kindness very good. 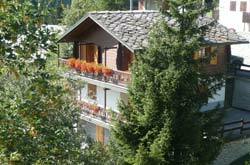 Who says there has been - Typical mountain hotel, simple, family run. Beautiful garden, panoramic, cozy. The rooms are spacious, clean and well furnished. comfortable and functional bathrooms. Good food, with typical and good desserts. Breakfast plentiful and varied. Welcome from the good staff. Who says there has been - About 15 minutes from Aosta (10 km.) And 10 minutes (6 km.) From the center of Gressan. 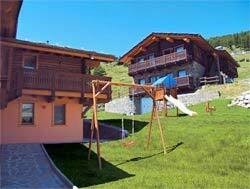 Feature and well maintained facility, in mountain style, has an impressive panoramic view of the valley. The rooms are not very large, but cozy and clean. functional bathrooms. Excellent savory continental breakfast, with fresh cakes and pastries (breakfast room is not very big). Great welcome and kindness on the part of managers (Mrs. Cynthia is an excellent cook). Who says there has been - The Residence Long Stay Figerod, consists of comfortable apartments with TV, equipped kitchen and microwave. The furnishings are made of wood. 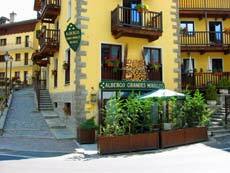 Who says there has been - Small hotel about 10 km from Aosta. 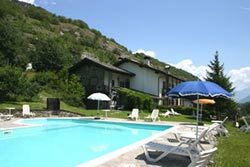 Garden of 700 m2, with swimming pool (16x10 meters) with children, with beautiful mountain views (pool management improvable). The rooms are spacious (between 15 and 18 m2), standard furnishings (TV, free WiFi and soundproof windows), discrete cleaning. Breakfast especially with packaged products. good quality restaurant. Holders and courteous staff. 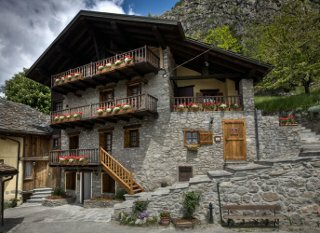 Who says there has been - Located in Paquier fraction (in the town center) of Valtournenche, about 8 km (10 minutes) from Breuil Cervinia. 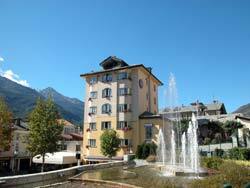 The hotel is nice and well maintained, with typical mountain furnishings. The rooms are comfortable, cozy (18-24 inch LCD satellite TV, free WiFi) and clean. equipped and functional bathrooms. The breakfast buffet, rich and with quality products. Managers and staff friendly and helpful. 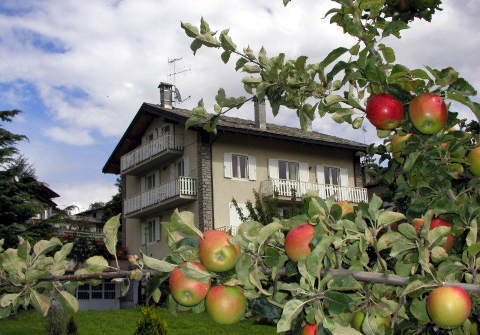 Who says there has been - A small alpine residence, 3 tastefully furnished guest rooms with satellite TV and heating, familiar and sweet / savory breakfast in the cozy dining room with fireplace, served in typical clothes, it is the service offered by the Bed and Breakfast Le Petit Nid. 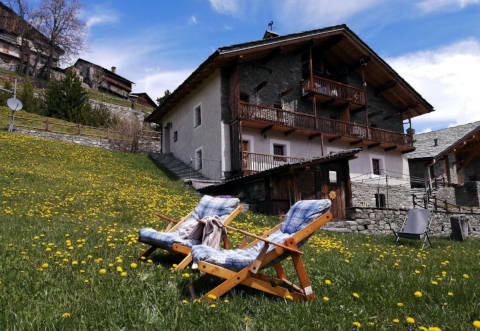 We Valtournenche, few minutes from the ski slopes and excellent starting point for excursions in summer in the Matterhorn Valley. Nordic walking and snowshoeing by the daughter of the owners, qualified instructor. Who says there has been - Bed and breakfast taken care of, with a lovely garden and panoramic views. The rooms are cozy, clean, comfortable and tastefully decorated. Great breakfast, varied and with many local produce and homemade. equipped kitchen. Hospitality and friendliness very good, by the operators. Who says there has been - The Coup d'Coeur is a detached house consisting of living room with TV, kitchenette and a sleeping area with two double bedrooms served by a bathroom. Balcony with panoramic view, private parking. 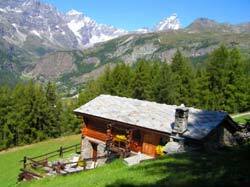 Who says there has been - In the central area of Aosta (about 10 minutes walk from the center). 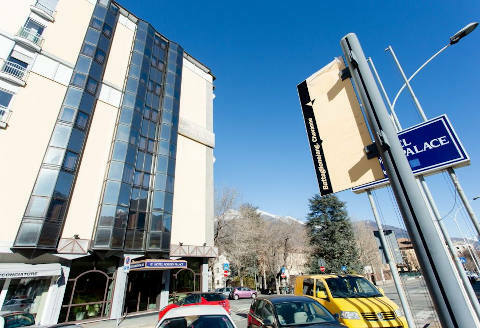 The hotel has 7 floors, it is not brand new (different rooms have been renovated, others not), however in general the rooms are spacious and clean (LCD TV, air conditioning, pay wifi). comfortable and functional bathrooms (large shower). Easy parking in the neighboring streets. Good breakfast buffet. friendly and attentive staff. Who says there has been - The apartments are comfortable, spacious and well-kept. In quiet area, nice garden and beautiful mountain views. Great welcome from the managers. equipped kitchen. Excellent value for money. Who says there has been - Typical mountain restaurant with wood paneling. The rooms are clean, cozy (24-32 inch LCD TV, free wifi) and spacious. Good breakfast, even with different crafts and typical products. The staff were helpful and welcoming. Page load time: 0.07 sec.